Call The Midwife has been praised by viewers affected by cleft lip and cleft palate after the BBC drama showed a baby boy born with the condition. Mum Betty Marwick (Lisa Ellis) is overwhelmed when baby Kirk is born and the midwives are unsure how to react. Viewers and charities posted on social media after the show, currently set in the 1960s, aired on Sunday. A cleft is a gap or split in the upper lip and/or roof of the mouth (palate) that is present from birth. “The Cleft Lip and Palate Association (CLAPA) were delighted to see BBC’s Call the Midwife feature a baby with a cleft in Sunday’s episode,” a spokeswoman for CLAPA told the BBC. “For parents, seeing these early moments reflected on screen was an affirmation of what they themselves had gone through – the shock, the concern, the coping with cruel comments and the feelings of guilt. Charity Cleft posted a video about advising the BBC One programme on their storyline. Brian Sommerland, plastic surgeon and chair of the charity, said there have been many improvements in treatment over the years, “however we still a long way to go”. In Sunday’s episode, Nurse Valerie Dyer (Jennifer Kirby) has to borrow medical textbooks to read about the condition. She became a great support to Betty, but Betty was still anxious about the numerous operations that Kirk would face. But the episode concluded with Kirk’s first reconstructive surgery being a success as his father returned to help care for him. The NHS states that the gap associated with a cleft lip and/or palate is there because parts of the baby’s face didn’t join together properly during development in the womb. 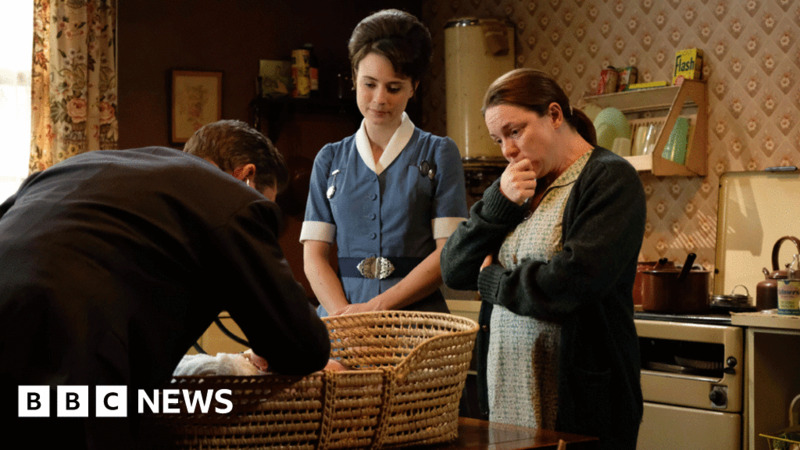 Call the Midwife has become well-known for tackling difficult and sensitive subjects and has featured storylines about Down’s syndrome, sickle cell anaemia and FGM. Who'll replace Michael Buble at the Brits?